Assange exposing more Clinton corruption. A bombshell new report from WikiLeaks reveals undeniable proof that former Democratic presidential nominee Hillary Clinton’s 2016 campaign was aware of a major change in the Clinton email investigation. In an email released by WikiLeaks, John Podesta received an email from an adviser on March 9, 2016, which detailed how the FBI had initially labeled Clinton’s handling of her email server as “gross negligence” before being changed. The change is very significant, as it watered down the language to essentially say Clinton was careless but that she shouldn’t be prosecuted for risking our nation’s security. Section 793(f) covers a person with access to “national defense” information who through “gross negligence permits the same to be removed from its proper place of custody or delivered to anyone in violation of his trust.” The government has used the “gross negligence” provision to prosecute a Marine sergeant who accidentally put classified documents in his gym bag, then hid them in his garage rather than returning them, and an Air Force sergeant who put classified material in a Dumpster so he could get home early. This is a major update in explaining why former FBI Director James Comey decided to alter the language to shield Clinton from criminal charges. 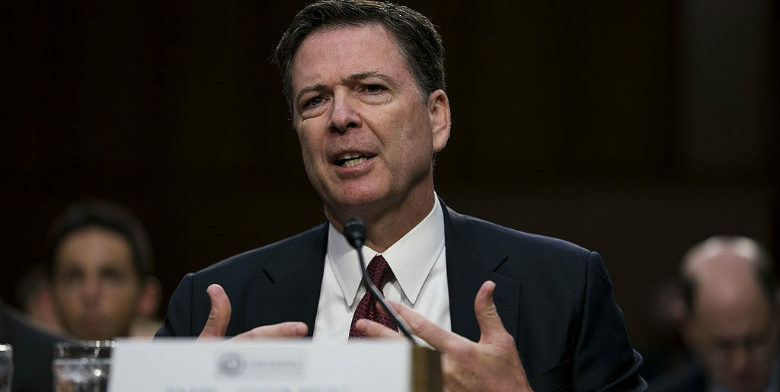 Comey’s original memo stated that it was “reasonably likely” that “hostile actors” infiltrated and gained access to Clinton’s private email server. If a foreign government was able to hack Clinton’s server, analyze potentially all of the information on it – which we know included classified information – why has she not been charged? That language was subsequently changed and watered down to say it was “possible” foreign actors hacked her server, which protect her from criminal charges. The memo also changed “gross negligence” and “misdemeanor mishandling” with “potential violations of the statutes,” another subtle trick by Comey and Deep State holdovers to give Clinton a pass for her illegal actions. Comey changed the memo to protect Clinton, and he should be held accountable for his actions. Was Podesta and Clinton allowed to assist the FBI in altering the language that initially indicated she clearly violated the law? Inching closer to getting answers to that question, members members of Congress are finally demanding the FBI provide information about why Clinton was allowed a free pass.